Here's a lesson for lobbyists: eating your words is a lot safer than drinking the poison you help sell. Once upon a time, Dr. Patrick Moore was an early Greenpeace member. Now he is a public relations consultant for the polluting companies that Greenpeace works to change: Big Oil, pesticides and GMO agribusiness, forestry, nuclear power... anyone who puts up the money for truth-benders who appear to carry scientific and environmental authority. This is the best gotcha-moment I've seen on camera since tobacco lobbyist Joe Bast, CEO of The Heartland Institute, was forced to acknowledge and re-affirm his denial that smoking cigarettes is bad for your health, courtesy of Lee Fang for Republic Report. Extra Extra! Read all about climate denial scientist Willie Soon's dirty money from petrochemical billionaire Charles Koch, coal utility Southern Company, oil giant ExxonMobil and other fossil fuel companies to deny the science of climate change! The questions I tried asking Dr. Soon (who won't talk to me, after a few of these encounters went bad for him) are based on seemed to show that despite all the embarrassment Soon has caused his employer, the Smithsonian Institution, private communications with ExxonMobil indicate that Smithsonian was all too happy to take Exxon's money for their general operating budget. To their credit, Smithsonian officials say they are doing an internal review of Dr. Soon. We'll see how that goes, but it's not encouraging to see that Soon's coworkers may have been complicit in peddling influence for ExxonMobil and the other polluters financing Dr. Soon. For years, we at Greenpeace have been working to make public the secret paper trails that show what everyone already knows: climate science deniers - #Fakexperts - are few and far between, and most of them are paid by companies most responsible for global warming to downplay the problem. He has accepted more than $1.2 million in money from the fossil-fuel industry over the last decade while failing to disclose that conflict of interest in most of his scientific papers. At least 11 papers he has published since 2008 omitted such a disclosure, and in at least eight of those cases, he appears to have violated ethical guidelines of the journals that published his work. The documents show that Dr. Soon, in correspondence with his corporate funders, described many of his scientific papers as “deliverables” that he completed in exchange for their money. He used the same term to describe testimony he prepared for Congress. Our executive director Annie Leonard just sent a letter to the U.S. Internal Revenue Service, and two letters to the U.S. House Committee on Science, Space and Technology (here and here) in pursuit of answers. Is the IRS okay with Charles Koch's nonprofit foundation funding research that appears to have directly influenced state and national politicians? Did ExxonMobil violate any Congressional rules by giving Soon a grant just two months after Soon told Congress he had no financial conflicts of interest, after telling them that climate change isn't a crisis? And Southern Company? We will keep you posted as things unfold - keep track yourself on the Climate Investigations Center, where our former colleague Kert Davies is busy trying to answer the same questions. For disclosure - know that Kert helped start this work when he still was Greenpeace's Research Director. We have continued to partner with him on this since his amicable split from our team. After you read the Times, check out more on the story...just about everywhere. The Boston Globe writes that Senator Ed Markey (D-MA) plans on opening an investigation on climate science deniers. InsideClimate News notes how Soon has been part of a game plan detailed by the American Petroleum Institute in a leaked memo from 1998. Gawker, Discover Magazine, and STGIST have more. Gizmodo wins for the most brazen headline. Richard Edelman calls time out on Big Oil's climate change denial. Photo: Adweek. Perhaps you heard the good news - the world's largest public relations firm, Edelman, just spun off an advertising subsidiary so that it could show a commitment to not aiding the denial of climate change science. The Guardian explains how API's contracts with Edelman were so massive--tens of millions of dollars--that it was up to 10% of the PR giant's income. 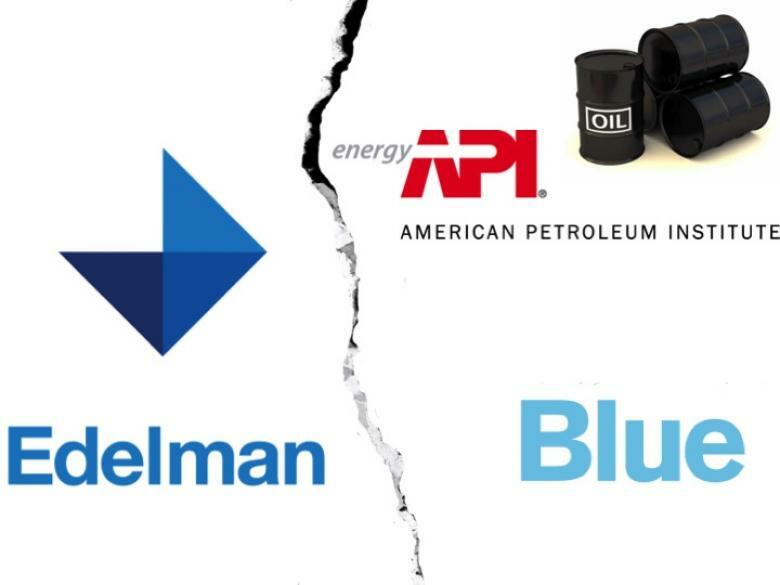 For years, Edelman has managed multi-million dollar contracts with the American Petroleum Institute (API), using its Blue Advertising subsidiary to help API run commercials selling fantasies to people: that oil and gas are our only viable, plentiful, "AMERICAN" sources of energy. In the saga that led Edelman to dump the lobbyists at API, Greenpeace had a small role to play: we infiltrated a commercial shoot, run by Edelman's Blue advertising arm for API. The commercials were to be called "Vote 4 Energy," casting the illusion of mass popular demand for more oil and gas drilling (and more pollution, more climate change, and more government giveaways to prop it all up). After being dressed up in a button-down, plaid orange shirt--I'm not sure what look they had in mind for me--I was put in front of the camera and told to repeat lines back. This despite the casting call for "REAL PEOPLE not Actors!" Huh. Shockingly, API and Edelman didn't stop the commercial shoot there and reinvent it into an appeal for clean energy (yes, that's sarcasm). And as Edelman and API moved forward with the commercial, Greenpeace got another idea. On the day that API's commercials debuted, Greenpeace created and released a fake Vote4Energy commercial, mocking their bizarre message with parody oil executives dismissing clean energy and using empty patriotic jargon: "I vote for prosperous American liberty jobs for Freedom." We crashed API's launch event for Vote4Energy, rolling out an astroturf mat for politicians and lobbyists to make their entrance, framed by oil company logos. Online, we buried their actual website with our spoof material and drove more traffic to our fake commercial. Some journalists actually linked to our silly video in their stories about API's Vote4Energy campaign. This was in January, 2012. Since then, big things have happened at Edelman. Fast forward to last fall, 2014: Edelman suffered a months-long PR crisis--the last thing a PR firm wants--over its representation of API and other climate science denial organizations. Edelman's chairman, Richard Edelman, hastily put out a statement affirming his company's commitment to climate change. Mr. Edelman was personally urging the press that he cared about the issue, and fired a top executive who was uncooperative with the Climate Investigations Center, which was surveying PR firms on their climate change policies. It was awkward. The mess was intensified by another round of documents showing Edelman was helping TransCanada--the operator of the proposed Keystone XL tar sands pipeline--with campaign planning to subvert local activism in Canada against TransCanada's Energy East pipeline. After the plan was leaked, TransCanada dumped Edelman. It seems that Big Oil is starting to be a Big Headache for Big PR. Of course, there are still plenty of public relations firms with little to no moral standard out there, unrecognized by the public, for Big Oil to pay for dirty PR. But for the world's largest firm to take some meaningful steps to throw in the towel on climate denial - that indicates a precedent for an industry that most activists wouldn't have bothered to spend time trying to change. And it's a good thing, because climate scientists aren't getting any less distressed about our changed climate. 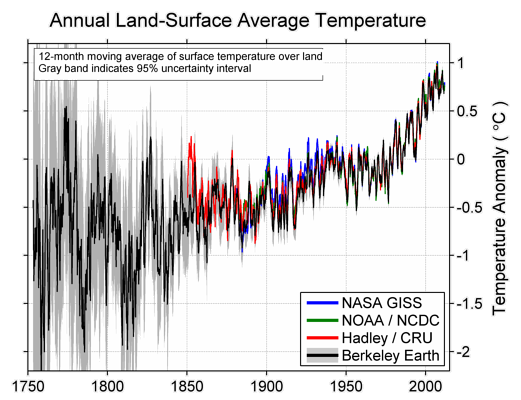 The U.S. National Academy of Sciences is getting desperate enough to officially call for "unproven technology" in attempts to mitigate the crisis. Despite the weight of the crisis, which is just getting started, coal companies, oil companies, the Koch brothers and their legion of front groups are creating layers of red tape to block the U.S. Environmental Protection Agency's Clean Power Plan, the first regulation of carbon emissions from existing power plants. Perhaps there's a slick PR firm out there willing to make right of its past and do something productive for the climate, and all of us who rely upon it. Edelman: you're up. Show us you mean it this time. Students at Florida State University are telling Charles Koch to stop compromising academic integrity with multimillion dollar grants that come with strings attached. Our university’s academic integrity has already been compromised from the influence of high-dollar donors like Koch, who managed to assume inappropriate control over our economics department’s curriculum and hiring process per an agreement signed in 2008. Three years have passed since FSU professors exposed Koch’s financial grip over our school and a committee of faculty senators formally rejected several stipulations of the agreement. Yet, it is clear that the administration refuses to act to appropriately limit outside influence on FSU’s educational operations. A new agreement with Koch, signed by both ex-President Barron and current Interim President Garnett Stokes, still contains many provisions from the original agreement that were explicitly rejected by the faculty senators who reviewed it. Barron himself stated that the initial agreement “did provide the opportunity for outside influence” from Koch. This leads us to question whether the new agreement leaves that influence intact. The op-ed focuses on the departure of Eric Barron, who is transitioning into the president's office at Penn State University after serving as president of Florida State University. Mr. Barron is being celebrated for his expertise in climate science as he cycles into his new position at Penn State (which also gets money from Charles Koch). Why does this matter? What's the relevance of President Eric Barron's climate change credentials? Let's start with Florida State's economics department. FSU's economics department has received much of the $3,898,657 itemized to FSU in the Charles Koch Foundation's tax filings from 2009 to 2012. Beyond the well-documented concerns highlighted by FSU students and professors alike, FSU's Koch-funed economics department appears to host professors who are misrepresenting climate science, a field well outside of their credentialed expertise. Ph.D economist Yoram Bauman has twice reviewed and ranked economics textbooks for how accurately they portray climate change science. Citing top climate science institutions like the Intergovernmental Panel on Climate Change (IPCC) and the U.S. National Academy of Sciences, Dr. Bauman has repeatedly given a failing grade to a widely-used textbook authored by professors from several of the top Koch-funded schools across the country, including FSU. Three of these four authors have direct ties to FSU: one primary author is a current economics professor, one formerly taught in the FSU econ department, and one obtained his economics Ph.D at FSU. These same four professors, who aren't climate scientists yet authored the worst economics textbooks in regard to climate science misinformation, are affiliated with numerous Koch-funded climate denial organizations. Such affiliations include the Tallahassee-based James Madison Institute, The Heartland Institute, the Property and Environment Research Center (PERC) and the Association for Private Enterprise Education (APEE). These professors are closely affiliated with groups created and directly overseen by the Koch brothers, like the Cato Institute in Washington, DC and the Mercatus Center at George Mason University. All of these climate denial front groups are affiliated through a Koch-funded umbrella called the State Policy Network. Koch Industries' executives are well-known for dumping tens of millions of dollars into organizations that deny the science or the solutions to global climate change. Now it appears that Koch-funded professors may be an extension of the same political campaign. Florida State University students and faculty alike have good reason to ask hard questions about Charles Koch's grants to FSU. Whether or not the Koch money caused or simply encourages such manipulated teaching doesn't matter--lying to students about science is wrong and its one of the key controversial things that KochWorld has a habit of funding. As students striving to live by the Florida State seal of Vires, Artes, and Mores — strength, skill, and character — we’d rather not surrender our character just to serve Charles Koch. Our impartiality is more valuable than his money. With FSU's outgoing president Eric Barron taking the helm at Penn State University, a good first step would be to ensure that Charles Koch's grants to Penn State aren't affecting the presentation of climate science or other critical topics to the student body. As a climate scientist, Mr. Barron must know how much is at stake when conversations regarding climate change are polluted executives at companies like Koch Industries, which profit from oil and gas operations. Greenpeace strives to support students who are questioning Koch's manipulation of education through high-dollar grants, especially in the realm of science. Check out the article and comments from the students themselves! Here's one climate change denier who really doesn't want you to think twice about his funding from Koch, coal and oil: Dr. Willie Soon, freshly profiled in today's Boston Globe. In the video above, we asked Dr. Soon about his fossil fuel funding at a climate denial event hosted by the Heritage Foundation last month--the event that wraps up Christopher Rowland's article in the Globe. There is a bizarre sense of urgency in Dr. Soon's statements, both in our video encounter with him and in the Boston Globe article. He is a man whose profession has developed far outside of his actual expertise as an astrophysicist. After Greenpeace revealed that Willie Soon has taken over $1 million in payments from fossil fuel interests on "research" intended to undermine climate science, his credibility has evaporated. Professionals in the field of climate have been hugely critical of Dr. Soon's pre-determined "research." The Boston Globe notes Willie Soon's contrarian stance against basic facts of climate change. "Polar bears? Not threatened. Sea level? Exaggerated danger. Carbon dioxide? Great for trees. Warming planet? Caused by natural fluctuation in the sun’s energy." Soon’s views are considered way outside the scientific mainstream, which makes him a prophet or a pariah, depending on which side you ask. Some say his work simply doesn’t hold up to scrutiny, that his data are cherry-picked to fit his thesis. Outside the Beltway, the science is largely settled. Yet in the capital, government response to one of the major environmental and economic challenges facing the planet is mired in an endless cycle of conflicting claims and partisan finger-pointing. The work of Soon, and a handful of like-minded scientists, is seen by a critics in Congress and elsewhere as a case study in how this deadlock has been engineered by energy companies and antiregulation conservatives. While Dr. Soon's office is on Harvard's campus, Dr. Soon has no formal affiliation with the university and has been forced to acknowledge as much after misrepresenting the relationship as a credential for pro-coal pollution op-eds. “You have a guy that is aligned and associated with Harvard University, one of the top universities in the United States, and the Smithsonian, also very reputable,’’ said institute spokesman Eric Wohlschlegel. Soon said he is required by the center to recite a disclaimer – saying his views are his own, and not that of Harvard-Smithsonian — each time he speaks or writes on anything outside his expertise in solar radiation. But the complexities of his relationship with Harvard-Smithsonian are often ignored by his sponsors and conference hosts eager to showcase his impressive credentials. The Harvard-Smithsonian Center’s former director, Harvard astronomy professor Irwin Shapiro, said there was never any attempt to censor Soon’s views. Nor, he said, was Soon the subject of complaints or concern among the 300 scientists at the center. Willie Soon continues to attend industry-funded climate denier events and detests questions that highlight the dirty energy companies funding his work: watch Dr. Soon shout at a student asking critical questions last April, at events run by the campus arm of CFACT, a well known climate denial organization. Dr. Soon's oil- and coal-funded climate "research"
Dr. Soon's grants came from the Koch brothers, ExxonMobil, Southern Company, and the American Petroleum Institute, among others, according to Freedom of Information Act (FOIA) requests from Greenpeace to the Smithsonian Institution, Dr. Soon's employer. A newer entity called Donors Trust is now helping funnel money from undisclosed donors to Dr. Soon. Donors Trust and affiliate Donors Capital Fund have sent $146 million to groups that deny climate science (since 2002). Dr. Soon's reaction to Greepeace's request for clarity on the Donors Trust grants doesn't give us much confidence that they aren't simply obscuring more donations from fossil fuel interests, rich political ideologues, or both. Recognition must be lent here to Dr. Soon's call for an end to FOIA probing of scientists--many legitimate researchers (and their employers) have had their time and reputations wasted by industry-funded attacks from climate denial groups that work closely with the Heartland Institute, like the Competitive Enterprise Institute. These abusive probes do nothing to advance a constructive dialog on solutions to runaway climate change. The key difference is this: Dr. Soon's work is a platform for The Heartland Institute and other political entities to lie and confuse the public and policymakers alike about the seriousness of global warming, funded exclusively by dirty energy interests. Thanks to the obstruction led by Dr. Soon and other people who sold out the public interest to the highest bidder, it's too late to prevent climate change. The climate is changed, and we're feeling the impact. The question is how radically we can cut greenhouse gas emissions from coal, oil and gas and rapidly shift to a clean economy that doesn't thrive off of the ruin of our planet. This is why it's crucial to leave the obstructionist opinions of Heartland and Dr. Soon out of true scientific conversations. Look to Greenpeace and PolluterWatch in the coming weeks for ongoing accountability of those who are paid to undermine our future, and help spread the word!